2017-12-3: L-F-manager Hiep and all the 7 school management made an inventory of pupils families who had sufferd seriously damage from typhoon Damrey on November 4. 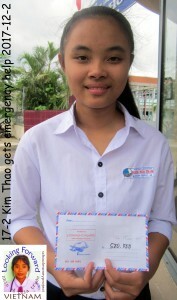 They have send us a list from 36 pupils who’s house completely or partly were destroyed. Our fund is not able to pay for rebuilding/ repairing these houses, but we can give this unlucky families some compensation for lost food and lack of income. 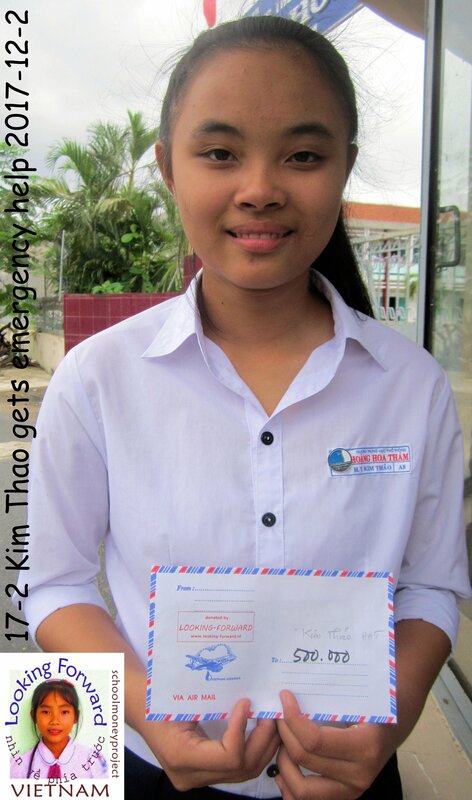 This week Hiep gave these 36 L-F pupils an envelope with 500.000VND emergency help. We hope rain season soon will be over.